Arun Jaitley will visit Kerala on Sunday. The same day, Kerala Governor P Sathasivam will discuss law and order with Chief Minister Pinarayi Vijayan. The Bharatiya Janata Party and the larger Sangh Parivar are upping the ante on the issue of political violence in Kerala. 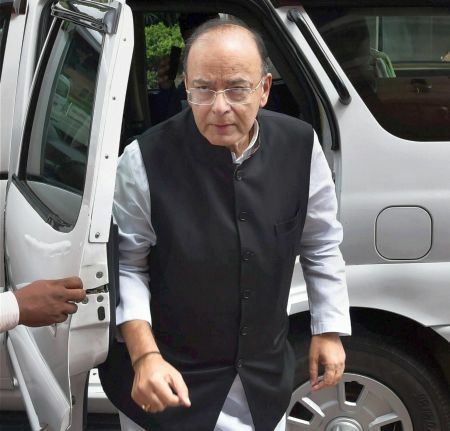 Finance Minister Arun Jaitley is scheduled to visit Kerala on Sunday, August 6, to visit the home of the Rashtriya Swayamsevak Sangh worker who was killed recently. Information and Broadcasting Minister Smriti Irani alleged that law and order in Kerala has 'broken down'. The Communist Party of India-Marxist-led government, Irani added, was not taking action against the killing of RSS workers as it was 'politically beneficial' for the CPI-M.
Irani's comments came in the wake of the killing of 34-year-old RSS worker Rajesh in Thiruvananthapuram. BJP General Secretary Bhupender Yadav said 17 Sangh Parivar workers have been killed in the last 17 months due to political violence. The CPI-M denied allegations that its cadres were behind the attack on Rajesh. RSS Sah-Sarakaryavah (joint general secretary) Dattatreya Hosabale will brief the national media on the issue of Communist violence in Kerala in New Delhi on Friday, August 4. Kerala Governor P Sathasivam has summoned Chief Minister Pinarayi Vijayan on Sunday to discuss the law and order situation in the state. Is Kannur, India's political murder capital?